The Milwaukee Bucks jumped out to a big lead and cruised to a 104-77 win over the Toronto Raptors, winning game three of their best-of-seven series at the BMO Harris Bradley Center. 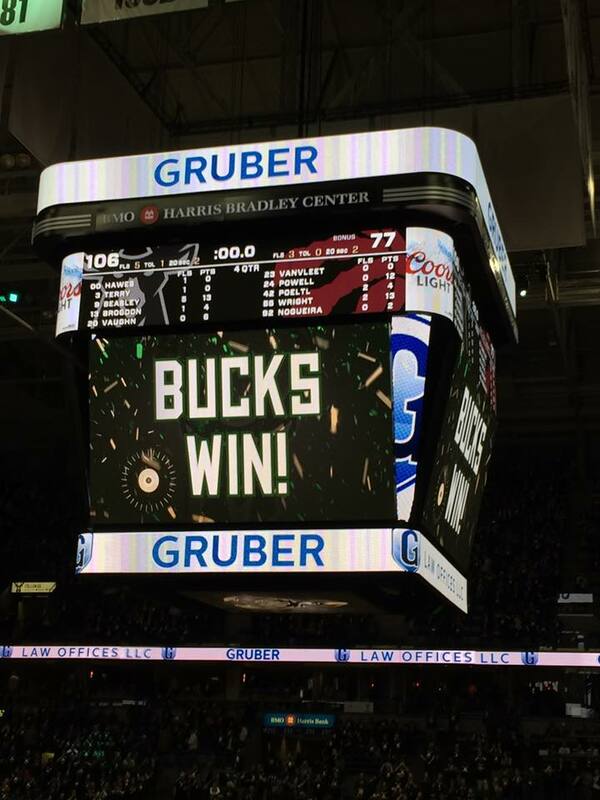 The Bucks took a 2-1 advantage in the series and will host the Raptors in Game 4 on Saturday afternoon (2 p.m.) at the Bradley Center. Khris Middleton had 20 points, Giannis Antetokounmpo added 19 points. 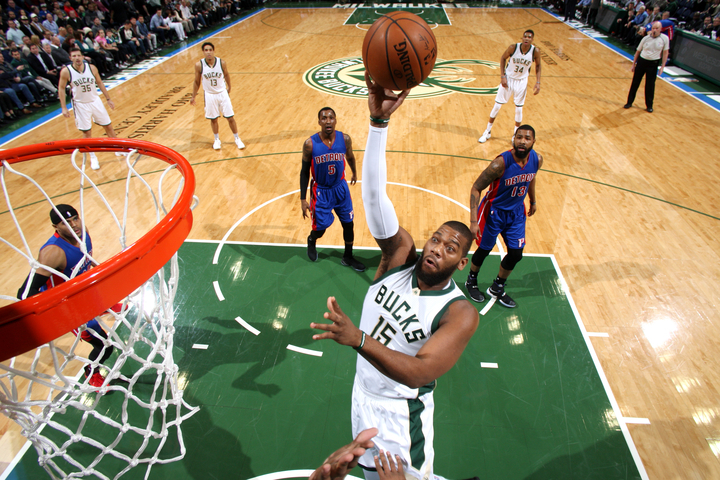 Greg Monroe added 16 and Michael Beasley had 13 points to lead the Bucks. Kyle Lowry led Toronto with 13 points and the Bucks held DeMar DeRozan to just eight points (0 for 8 FG), all at the free throw line. The last time DeRozan didn’t make a field goal in a game was in January of 2015 against the Bucks in Milwaukee. The Bucks continued to get good production from their two rookie starters. Thon Maker had 11 points, while Malcolm Brogdon added four points, nine assists and seven rebounds. The Bucks led 32-12 after the first quarter and 57-30 at halftime. They led by as many as 34 points late in the third and coasted to victory. 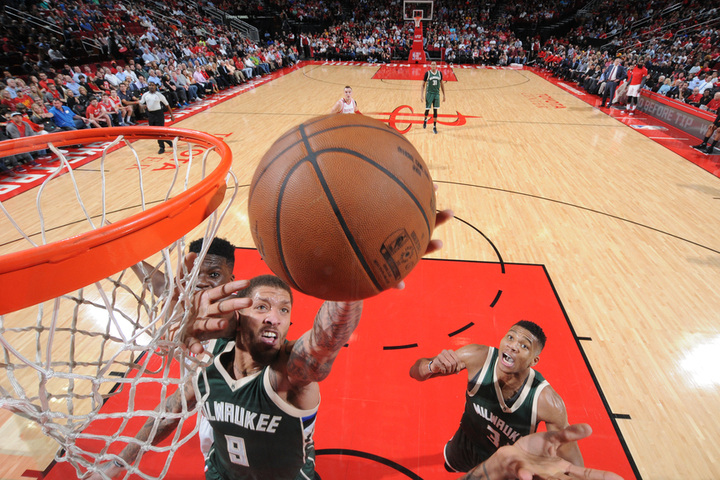 The Milwaukee Bucks received some good news on injured forward Michael Beasley on Tuesday. An MRI exam showed Beasley has a hyperextended left knee. The Bucks say he’ll miss at least three games and will be re-evaluated then. Beasley suffered the injury in the second quarter of Monday’s 102-95 loss to the Cavaliers in Cleveland. He had to be helped off the court and was seen on crutches after the game. Beasley was the second overall pick in the 2008 draft by the Miami Heat. The Bucks acquired him in a September trade with Houston that sent Tyler Ennis to the Rockets. Beasley has averaged 9.7 points and 3.6 rebounds in 50 games and leads the team in field-goal percentage at 54.2%. The Bucks return to action tonight, playing host to the Denver Nuggets at the BMO Harris Bradley Center. 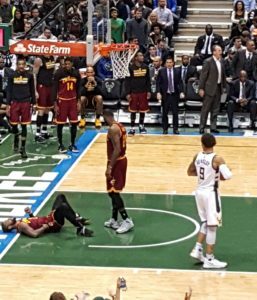 The Milwaukee Bucks fell to the Cavaliers in Cleveland, 102-95 on Monday night and they’re hoping they didn’t lose Michael Beasley for the rest of the season. Beasley left the game in the second quarter after his left knee gave way while trying to defend Cavaliers forward LeBron James. Beasley was helped off the floor by teammates and carried to the locker room. He left afterwards on crutches. The Bucks are calling it a knee sprain for now and Beasley will undergo further tests on Tuesday in Milwaukee. Milwaukee Bucks coach Jason Kidd was hoping to get Giannis Antetokounmpo some time off in the fourth quarter, knowing the Bucks would be playing again Monday night against the Cavaliers in Cleveland. With Antetokounmpo resting, the Phoenix Suns got three straight dunks from Marquese Chriss to draw within one point in the closing minute. Antetokounmpo was inserted back into the lineup with 45.4 seconds left and the Bucks held on for the win. Tony Snell buried a three-pointer with 8.3 seconds left to give the Bucks (26-31) a 100-96 victory. Antetokounmpo led the way with 28 points, eight rebounds and six assists. Michael Beasley had 17 points and Malcolm Brogdon added 15, all of which came in the second half. T.J. Warren led the Suns (18-41) with 23 points. The Bucks are in Cleveland tonight. The Cavaliers lead the season series 2-1. When Giannis Antetokounmpo goes 2 for 9 from the field and scores just eight points, you expect to see the Milwaukee Bucks on the wrong side of the scoreboard. That was not the case last night though. With Jabari Parker lost for the season, the Bucks (24-30) knocked off the Detroit Pistons (26-30) 102-89 at the BMO Harris Bradley Center, winning their second straight game. Giannis Antetokounmpo tried to go last night, but the Bucks star continued to be slowed by illness and played just a handful of minutes early. It was Michael Beasley who came to the rescue, pouring in 28 points and adding five rebounds and four assists in the Bucks 109-107 win over the Spurs in San Antonio. The Bucks ended a 2-game losing streak and a nine-game slide against the Spurs. 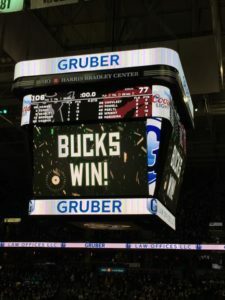 The Milwaukee Bucks were outscored 33-21 in the third quarter and fell to the Washington Wizards 107-101 on Sunday afternoon at the BMO Harris Bradley Center. The Bucks played without Giannis Antetokounmpo, who was ill.
Coach Jason Kidd took the fall for the Bucks poor third quarter. It’s been a problem for the Bucks for much of the season. But the players aren’t buying it. Malcolm Brogdon after the game said the lack of execution is on the players. Jabari Parker scored 28 points and added eight rebounds and seven assists. Point guard Malcolm Brogdon added a career-high 22 points. Michael Beasley had 18 points and Greg Monroe had 12 points and 12 rebounds off the bench. The Wizards (18-18) won the season series from the Bucks 3-1. They got 26 points from Bradley Beal and 17 off the bench from Kelly Oubre Jr. The Bucks (18-18) have dropped two straight and play next, at San Antonio on Tuesday night.